Good Morning Everyone…I hope some of you are checking out my blog for the first time and hope you come back again!…Since I am the “newest” Moda designer, I have the least to work with…I currently only have 5 sku’s! The primitive muslins in all the same colors, shades of tan…So whats a girl to do with this limited pallet? Stay in it of course! Lissa asked us to design a pillow that describes ourselves…Well I guess that would mean I would be using WOOL! Here is my simple pillow…so simple it needs no pattern! How green is that? The pillow background is the darkest shade in the primitive muslin line cut 12″ x 16″. Cut a 3″ square of the following: 1 of the lightest and two each of the next two shades. Then from various cream/tan wools I traced on fusible web and cut 5 wool circles of 2 1/4″, 5 wool circles-1 1/2″ and then 5 wool circles-1″. Place the 5 squares in a row at the center of your pillow background. 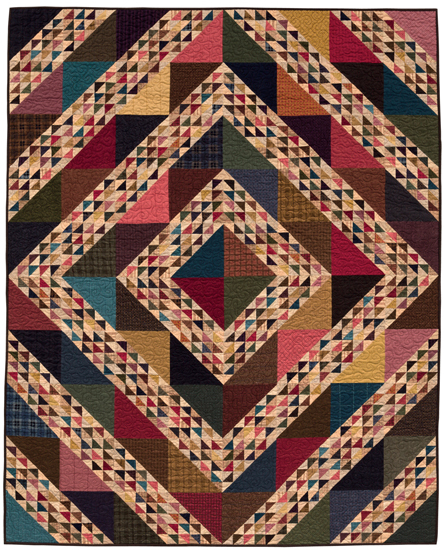 Stitch in a 1/4″ around the five squares. Place the circles onto each of the 5 squares and iron with steam. Blanket stitch with Valdani O196 #12 perle cotton around each penny, stitching to the next penny using long stitches. Make a back and stitch right sides together leaving a 4″ opening. Turn right side out and stuff…stitch opening closed. Now for all those questions…. What is a little know fact about yourself?…I always try to do everything to the best of my ability…no half-a**ing from me. This also means I expect this from everyone around me also…I have surrounded myself with great people and great things have happened to me…I am very blessed. How do you relax?…I many ways now…I love spending time on our boat, but that is obviously seasonal…I get messages now and then… and I exercise and get mani-pedi’s when I can… A girl’s got to take care of herself! What do you sleep in? I sleep in pajama pants and a matching pajama shirt…I love Nick & Nora…from Target! Did I sleep with a stuffed animal? I don’t know…but I do remember that one Christmas I got a doll and all my brothers got cool trucks and sports stuff…I was so mad I threw the doll down the basement stairs…yes…you guessed it…I was a major TomBoy! I have been trying for hours to figure out how to put this image on my side bar where the ugly box is under Moda designer blog hop…can anyone tell me how to do it? I can place it here.. Wonderful pillow, I love working with wool too. I have gotten the new tea stained fabrics, from light to darks, they are wonderful to work with. I love the pillow and the colors are so rich looking. Plus they go with just about every couch I have. I have visited your site before and have made several of your patterns. Just love them. 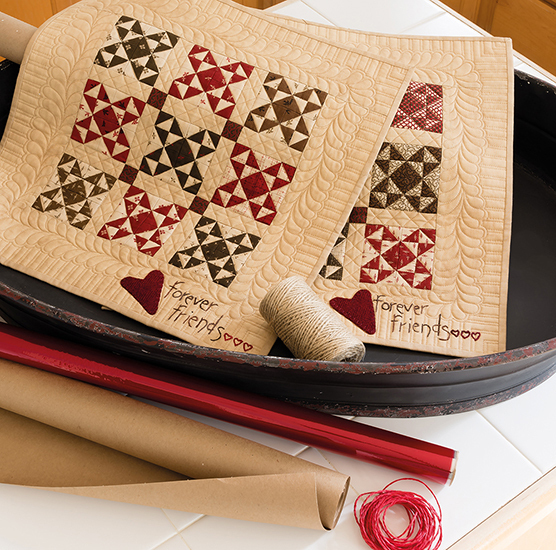 good mornin’….im new to this site and was looking at jan pateks blog..so i snooped here..i love that red quilt….above..is there a pattern for that?…..thanks!!! I really like this tone-on-tone version of your pillow…and that is it green! Hi Lisa! I like your “primitive” pillow. This is the first time I am reading your blog. Congratulations on your first 5 sku’s with Moda. What a great pillow! 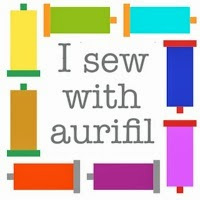 I am relatively new to quilting, so haven’t used wools yet. I’ve bookmarked your page and look forward to visiting again. Thanks so much for sharing with us! Very lovely pillow even if you don’t have any bright colors to work with. Shades of tan are lovely too, and I like your rosetts. Love the multiple colors of muslin! Wishing you tons of success and happiness in your new endeavors! I’ll have to try those tea dyed fabrics. Hi! I am a first-timer to your blog, thanks to the pillow talk circuit. But I’ll be back. 🙂 Great pillow. What a great pillow! It’s nice that you get to design for Moda. I have bought patterns off your website several times in the past. It’s fun to check your online shop to see what’s new. My stash of wool has grown, now I have to store some of it at my daughter’s. Thanks for sharing. I love your pillow! Sorry about leaving this comment on your preceding blog post. I’m having trouble with the dark background/type. Love the pillow. I’ve been trying to find information/pictures about your retreat house/The Gathering on your website but cannot find it. Where can I find it? Thank you. Yes…it is in our Summer Gatherings book…thanks! Your pillow may be simple, but it would look lovely on my leather sofa! I am a first time blogger here. You can bet I’ll be back often. As usual, I love the pillow. I’m hooked on working with wool since I’ve seen your projects. Your right about surrounding yourself with great people. I’ve only been to your shop twice, but everyone has been very helpful and super nice. Meet Jessie this last time; what a sweetie. I adore anything made with wool and your pillow is no excepetion. Love the pillow… might have to do that in different colors here. I love your pillow. Super simple yet pretty. I think it is time I started sewing with wool. I love to hand stitch pennies and do applique work. Your fabric is so nice. I have 2 colors. Thanks for letting us get to “meet” you. Look forward to many more years. guess I commented on the wrong place. See I am all new to this. Like your pillow very much, and expecially with wool. very nice!! 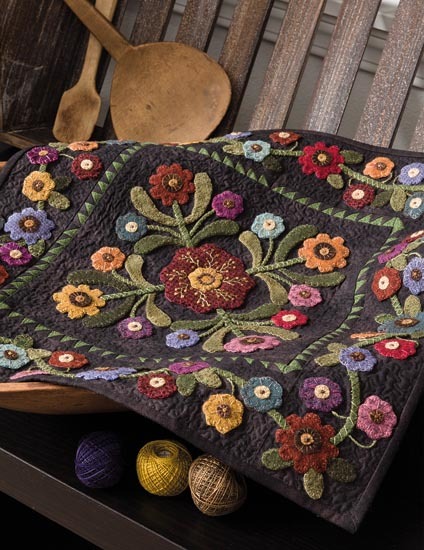 Great pillow – I didn’t realize that the wool is patterned until I zoomed in on the picture. I’m so glad that wool is still around; it’s gotten so much scarcer over the years with all the emphasis on fleece especially. I like your pillow..very stylish..The pattern reminds me of tree discs.. Thank you so much for the great color pallet of muslin and the cute pillow pattern. I love and own a few of your patterns an books. Also am currently doing the Lisa’s Flower Garden BOM. Keep up the great designing! This is my first time on your blog. I scrolled down a bit and love that wool pattern, the bird on the branch. What pattern is that? Such a great pillow, love the details and the neutral palette. I love your pillow! One of my next quilts (I already have the fabrics organized) is going to be this type of palette. I love all the neutrals together! Sorry – I posted this under your last entry so you’ll get it twice by mistake. I too am an early to bed, early to rise kind of gal. I like the daylight hours for activity and night tome for relaxing. Love that pillow and the primitive muslins – they’re on my list! I added your blog to my reader subscriptions this morning and have enjoyed getting to know you and your “stuff”. I’ve just branched out into wools and am really looking forward to doing more. It was very hard to read what you had to say with the black background and black and red type – the white type shows up nicely. I must admit, I do not know much about your designs and fabrics, but if you are connected to Moda, you must be great so I will make it a point to learn more. Glad we have had this opportunity to meet and learn about all the moda designers, it has been fun. Love your new fabric line and the pillow is adorable. I love coming to your blog; so much inspiration. Love your pillow and I’m so glad someone finally designed a muslin palette. Civil War fabrics are a favourite of mine and the different shades of muslin are perfect for this type of fabric. Hi Lisa, I do love your pillow! Simple and charming. That is a great pillow, love wool to. Thank you for sharing. I love the new Moda muslins. Have always liked neutrals. Lovely pillow. I have never worked with wool, but I think I will need to try some. GREAT pillow!! I love simple and the pillow is perfect to show off some of my hand dyed wools. But, I DO need to purchase some of your muslin line, it would be perfect for so many projects. I have signed up for your newsletter, hope you schedule some classes for my neck of the woods- coastal North Carolina. Bye! Love the pillow! Congrats on becoming a Moda designer. I am new to wools but love the look and the felting process. I love the new muslin and your pillow is awesome. This is my first time to your blog. I reall like how you have the slide shows of quilt shops, etc., and how they keep going all the time. I’ll certainly be coming back to visit! I like the effect of the long blanket stitches on your pillow. At first I thought it was a print. Pretty pillow! Enjoyed reading about you. First time on your blog..so I have to read the whole thing…Love your pillow..and the handbags were great…would love to make one…A little hard to read because it is so dark…will follow you from now on…Where can you find information about your retreat? Hi Lisa, love the pillow! I had to do a double take to figure out how you created the design. Of course it really helped when I read your description. Thanks for sharing. I love your pillow! What a simple, neat idea which I would have never thought of! I love the primitive muslins. Can’t wait to see what fabrics you come up with next. Love your fabrics and can’t wait to see your next line. Have just found you and will have to go looking for your books. Thanks. What a wonderful pillow! I love those colors. Have a truly terrific day! I have been looking at your new primitive muslins and it’s nice to meet the designer behind those wonderful colors. Love the penny pillow – the stitching is perfect. This is my first visit to your blog and enjoy the read. Thanks for the stop on the pillow blog tour. So nice to meet you here, your pillow is simply lovely. Good Afternoon, for only 5 sku’s your pillow is so rich looking. Simple but so outstanding. Welcome to moda we are the ones to benifit. I’ve been looking locally for your primitive muslins line with no luck. Guess I’ll have to order online because I love them! I really love the primitive look, and wool applique is my very favorite technique. Love your blog and patterns!!! I really like your pillow! It will go with so many colors and I really like the extra touch of wool. The pillow looks great, and te colors are just right. Thanks! Lovely pillow! The colors are so warm and rich. Thanks! Your pillow is beautiful. It looks like a mosaic. I was scouting out your website this morning and hope to look some more. Keep those wools coming……I can never have too many colors of wool. I wish you continued success……I wish I could teach you how to move the button to where you want it, I’m hopeless at it……when you learn it do a tutorial for the rest of us :0). congrats on being a new designer for Moda. Great pillow. Less is more. I love the simplicity of the pillow. Very classy. Yes, congrats on joining that wonderful Moda group! Thanks for the beautiful pillow instructions….much simpler to make than it looks! Your wool circles remind me of stones or maybe tile mosaics. Very nice and subtle. Conbgrats on your accomplishments. I love to work in wool also and am currently working on the borders to Primitive Garden. I am a bit surprised you didn’t include a Crow on yout pillow!Love the new muslins.. Wonderful pillow. It would look so wonderful in my house….grin. Whoops! I left my message on the wrong post. But it bears repeating: your pillow is lovely in its woolen simplicity. So glad I was led to this site. Hi Lisa! I’ll bet Moda is as proud as can be of their newest designer! Love the pillow, simple and classy, just like you! Your pillow is simple and a classic. I have your new Moda Muslins and I love them. They are me. Thanks for being in the pillow blog hop. I LOVE your Primitive Muslins – TOTALLY love them !!! Your pillow is absolutely one I would make and immeditely display on my sofa for all to admire. Your muslins will become a staple in this house !!! I absolutely love your pillow!! I have not attempted any wool projects yet but it is on my list of new things to learn this year. I enjoy your blogs too! I didn’t know there was a primitive muslin line of fabric – I will definitely need to get some of that! I love the pillow, too, as I also love wool applique (it’s a lot easier than needle-turn)! I love your pillow. You are so talented. Love your site and was wondering how you find out about where you are teaching those retreats? They sure look like fun! Loved the tour of your garden too. There’s beauty in simplicity. Like your pillow and the colors. Love your pillow/I have now added you to my favorites. Did you get help with the Pillow Talk button yet? I have a Google blog & there is a side bar where you can add “gadgets” when you are logged in. It must be similar. Good luck! Your pillow is very beautiful … rich and chocolate-y 🙂 … This is my first trip to your blog, don’t know why. I’ll be back though as your work is wonderful and I thank you for sharing!! The primitive fabric really creates an interesting look for your pillow. Thanks for sharing. What a great idea for a simple pillow. Your pillow is beautiful and very classy. Great job on the pillow!! I love your blog and all you create. I also love working with wool. Your pennies are gorgeous stitched onto your muslin pillow. Thanks for sharing. The pillow is very different and cool looking! Love your website too! Thanks for joining the pillow hop. Can’t wait to see what you do with Pennies from Heaven. Any idea when sample will be done? Are you using Moda as background? I love your pillow-and that you don’t need a pattern! Looking forward to reading your blog in the future. cute pillow Lisa – and the natural colours look so great – thanks for the recipe! I love your pillow. Very soothing with the neutrals, but I can see it in brights, too. What a great looking pillow. I really love the look of primitive muslins, especially that darker color your pillow is made from. I’ve also never worked with wool before although anyone I’ve heard that has just loves it. I like your pillow, simple but rich looking. I’m following the pillow blog hop, but I will be back. Wish I could help you but I use blogger. Thanks for hosting for the pillow hop, I’ve enjoyed visiting everyone. Love the pillow. I really like the neutral colors. Can’t wait to see you new fabric. Also need to order some of the muslins. Your pillow is great – I love wool pennies! Great pillow with your Primitive Muslins! They look like very nice colors to keep handy for mixing with all sorts of projects! Great getting to know a new designer! I like your pillow a lot! It is just enough! Have never worked with wool, but maybe I should give it a try!!! So agree with you about reading– I’ve been known to hold my eyes open so I can finish a book in the wee hours!! Love the pillow, I’m a tone on tone gal myself! You won’t mind if I joined you in your pillow fight, would you? I have a “Troy” poster and Brad watches over me while I am in slumberland. 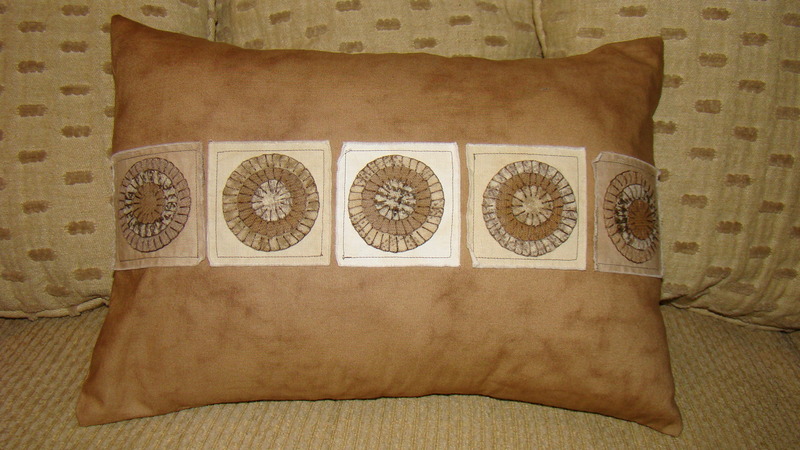 I am liking neutral colors more and more and really enjoy the design of your pillow! And the wool gathering in the following posting–the wool photographs so beautifully! I had to take my time to read your blog–my poor eyes don’t handle the white font on black very well. I can barely see my typing in this gray comment box. Ah! The joys of aging eyes. And I missed my Sunday afternoon nap. Wow, that does make me sound a bit…aged! I like your pillow. This is the first one that I think I’d like to make for my DD. She likes various neutrals but also wants colors. Thanks for the pattern & info. BTW I think reading black on gray is easy on the eyes. Love what you do with wool.I’ve taken one class from Sue Spa of my wool felted purse.Like to make the seasonal table round’s and pin cushion’s,Natural’s are lovely. For a brown pillow this is beautiful. If you had asked me if I’d like a brown pillow I would say no, but this is gorgeous. You did very well. Love the nurtrals. Love the pillow…so pretty. I’m a newbie sewer and have never worked with wool. I’ll have to give it a shot! thank you. toy have a very fine taste and this is a very nice pillow. waiting for moooooooooooooore. I love the pillow! I love the colors! Thanks for sharing! Hi Lisa, I love all of your stuff. Just a comment on trying to fix your image so it appears on the right side bar… It looks like the image that appears that you want is referenced by and the one that is broken on the right side is referenced <img src="/Users/lisa/Desktop/ptalk.gif". Maybe try changing to . Just a guess. Not sure how all your images are stored on the server. Love the shades of muslin–finally someone did it. Your pillow is lovely with the wool applique. Your line is so totally different from most of the fabric lines anywhere. It will be very interesting to incorporate the earthiness of these pieces into my ideas …should fit right in here in Iowa! Oh, I love working with neutrals. So serene! oh i really like the beautiful wools! your pillow is darling – simple yet so warm and cozy looking. Thanks for the fun pillow project. This has been a fun blog hop! Love your pillow – I am just in the mood for some spring pillows – spring must be right around the corner – I hope! I love your pillow, my whole house is in earth tones. I really like your pillow & how well it would go with everything I have. I enjoyed reading your blog & being introduced to you. The Pillow Talk Blog is Great fun! Thanks for sharing! Love your pillow, specialy because I’m a wool woman too! I already have your muslins and they are great! Thanks for sharing your pillow with us! It’s been a treat! Loved your pillow and your blog site. I have signed up for your newsletter. I am so glad that Moda did this pillow talk so the we could find out more about the designers. Have a great day! I love your tans. Your pillow is great. It would fit wonderfully in my living room. Thank you for sharing. Looks like my first comment didn’t work, so here goes again! I just love to work in wool and am currently working on the borders for Primitive Garden. I also got some of your new mmuslins they are great! Congrats on being the new designer. keep up the good work! I’ve just recently started working with wools. They are a lot of fun! Jan Patek said to check our your give away and I didn’t see anything about that. Am I not looking in the right place? Anyhow…here is my comment for the entry! Love your pillow, simple…yet very lovely. First time I stumble upon your blog and Really loved your designer pillow. Thanks for sharing the impressive pillow, really awesome. and the Sydney Monitor and moved to the town of Geelong.